Even if global prevention approaches have been developed by prevention and health and safety institutions to reduce the risks posed by chemicals in general and phytosanitary substances / plant protection products in particular, one can’t help but notice that the prevention measures which are most often implemented consist of using PPE. Despite the fact that regulatory bodies and common health and safety sense clearly favour other means of prevention - such as collective prevention or administrative controls - what actually happens is that they are scarcely used. This is due to several reasons, the costs of non PPE control measures often exceed the investment capacity of farmers, some of the technologies are ill-suited to the agricultural industry. The effectiveness of PPE in real-life conditions is thus all the more important as they often are the only, and not the last resort to protect people and reduce risk. PPE effectiveness in agriculture is an occupational and public health stake that also poses the question of legal responsibility. This article aims to present the results of an ergo-toxicologic study of the effectiveness, in real-life conditions, of the protective suits recommended by preventionists. The arguments developed hereafter are based on the Pestexpo study led by Isabelle Baldi1. 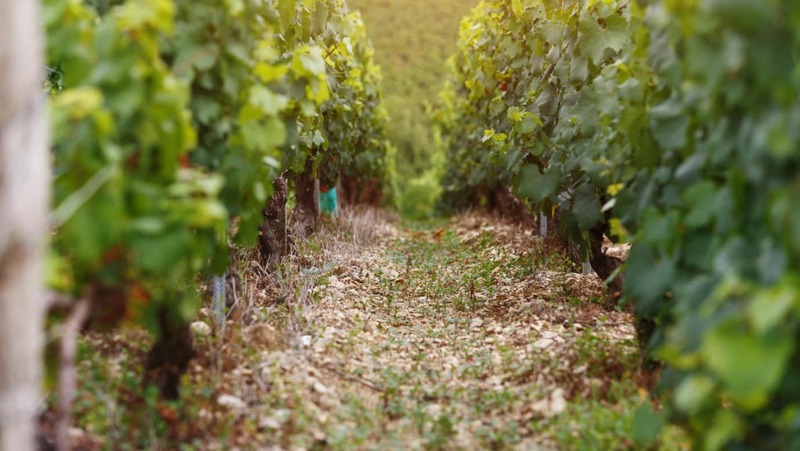 This study focused on analysing the exposure of vineyard workers to plant protection products by using an ergo-toxicologic approach. (dithiocarbamates in 2001 and 2002). Historically, this approach was developed by several authors5,6,8,9. The point is to identify different types of exposure by taking into account the characteristics of the real work activity (as opposed to what the operators are supposed?to be doing) as a produce of personal, technical and organisational determinants. The Pestexpo study showed that even when they were wearing PPE, people using plant protection products were contaminated, in some cases more seriously than without any protective equipment. In this article we are going to develop the different hypotheses that may explain these results. It shall be remarked that as of autumn 2006, we have formulated a hypothesis that questions the real effectiveness of the protective suits recommended for the use of plant protection products. In order to analyse and to transform the situation, we will propose to articulate a bottom-up approach as developed by the francophone practice of ergonomics2 and the anthropotechnology approach developed by Wisner (1995) and a top-down approach as Macro-ergonomics, developed by Hendricks (1997). One way of approaching the issue focuses on the real performance of recommended PPE, even when used properly. This is a vexed question within the occupational health and prevention researcher group, one can think of Pacham (2006) on how well protective gloves actually protect workers. This line of thought is based on the ergo-toxicologic study of the effectiveness, in real-life conditions, of the protective suits recommended by preventionists. The Pestexpo study1 assessed, among other elements, the real external contamination of vineyards workers by phytosanitary substances (dithiocarbamates, in 2001 and 2002). For the spraying activities in Gironde (there are also initial observation days), 96 field observation days made it possible to produce different types of data for each type of activity (preparing the product, spraying and cleaning the equipment). The contamination was measured through a chemical analysis of 10 square cm gauze patches which had been placed directly on the operators’ skin, on different body parts. The patches were removed and replaced with sterile ones at the end of each phase of activity. See figure 1. The protocol was consistent with OECD recommendations for that type of study. For the PPE-wearing operators, the patches were placed under the PPE. It is worth noting that through the observations operators carried out the different activities as they normally do. Some were using PPE while others weren’t. For those wearing PPE, some had appropriate equipment, others didn’t. Through the preparation stages about 2/3 of the operators used PPE, about half of them used PPE for the spraying stage and more than half for the cleaning stage. Yet, wearing PPE doesn’t mean that the PPE were suited to the task and substance, or cleaned, or not already contaminated. The results were expressed in mg of active substance deposited on the operator’s skin thanks to an extrapolation from the patch to?the considered skin surface. In the preparation stage, wearing PPE limits exposure to some extent During the spraying and cleaning stages, the operators who used PPE are, on the whole, more exposed than those who didn’t use any PPE These results were very confusing for the different prevention institutions, as one of the main points of the recommendations they make is the use of PPE, in particular Type-4 suits which are theoretically spray proof. Since autumn 2006 we have been working on a new hypothesis which questions the real effectiveness of the suits recommended for using phytosanitary substances. Through co-operation with a suit manufacturer we were able to?investigate into the permeation of the suit fabric. The latter manufacturing company wanted to check the efficiency of one of their suits in the protection from a herbicide. The permeation of the model recommended for the herbicide was tested by an independent certified laboratory. The suit is a type-4 suit, widely spread on the market, and the test followed the 2004 EN 374-3 protocol. The results are alarming as they highlight a very fast permeation phenomenon for a wide range of herbicides frequently used in the agricultural sector. This means that this suit, recommended in the agriculture through extrapolation from industry doesn’t provide an adequate level of protection against some of the risk present in agricultural activities. This type of test wasn’t carried out with the substance studied in the Pestexpo study. However, we may hypothesise that there is some degree of permeation, which could account for the fact that PPE-wearing operators are exposed. After discussions with PPE manufacturers it appears that the suits recommended for farm use were initially developed for the industrial sector. What’s more, as sales to farmers are only a niche, those suits may not have been tested for phytosanitary substances, including the most frequently used ones. As of today, there is no evidence that the permeation problem does not exist in the industrial sector (for instance in the pharmaceutical / sanitary industry) and in particular in the chemical industry for other substances. We must consider the design and use of PPE as a transfer of technology issue10. PPE was designed for utilisation situation that correspond only little to the working conditions of the farm or vineyard workers, in terms of managing a changing environment (temperature, hygrometry...) and incidents (PPE are frequently torn in farm work, the ground may not be level, it may be slippery... the tank of the sprayer may overflow, the nozzle may get obstructed...). For example, during observations led in Guadeloupe in banana plantations, we were able to determine that a 3h07 spraying activity in a steep environment could be broken down, thanks to the cardiac frequency, into 2h20 of strenuous work, 42 min of semi-strenuous work, and 5 min of light work (Balagne 2006). We can also observe that the worker uses probably for the first time the PPE, because he knew that he would be observed. We can highlight the fact he uses sponges in order to protect his shoulders from the weight of the portative sprayer (about 25 kg with the preparation of agrotoxics). This physical demand is very much felt by agricultural operators, and they may lead to compromise between the level of protection they get and reducing the demand / increasing comfort by not using PPE. In some cases, workers stated that they just felt too hot wearing the PPE in the sun. It shall also be noted that the risks and the effects of exposure may not be felt directly. Indeed, a worker explained that he couldn’t feel the substance on his skin but he could feel it in his lungs. We can then suppose that workers may favour respiratory protection over suits even if skin contamination may actually be more important. What’s more, in-as-much as there is a known permeation problem?with some of the suits, and as doubts remain on other PPE, is it reasonable for preventionists to keep on recommending PPE? What message should they give to the workers? This is a contradiction that preventionists will have to overcome, especially as they used the manufacturers’ (both chemical manufacturers and PPE manufacturers) recommendations to define prevention strategies. Some workers even explained that they had stopped using PPE as their neighbours had told them that they must be polluting the land since they were using such equipment. All this reveals issues which we can call “technical and organisational failures”7 in the assessment of the real effectiveness of suits, and thus in the compliance of the requirements of the European PPE standard (Design, certification and marketing). This question has already been asked by Mayer and Bahami (2006) without getting an answer. Beyond the agricultural sector, this could well be related to the alarming number of occupational cancers. Indeed, in the vast majority of work situations, PPE is the only control measure and the Pestexpo study seriously questions their effectiveness. At this step, based on an outstanding job by microergonomics and ergotoxicology, we have to propose links with a macroergonomics approach4, in order to modify the process itself of design and certification of PPE. This situation necessarily involves the French institutions which are stakeholders in prevention and certification. It also reveals the need to discuss a European standardisation of agriculture PPE. This is being debated in Germany (Standard DIN 32781), in the Netherlands, in Greece, Spain and Portugal. This can perhaps solve the organisational failure as long as new methods to test the effectiveness of PPE are developed. Even if new PPE are developed, and comply with the requirements of the new standard, there will still remain the question?of their cost for agriculturists, as well?as that of the use of disposable or reusable PPE.